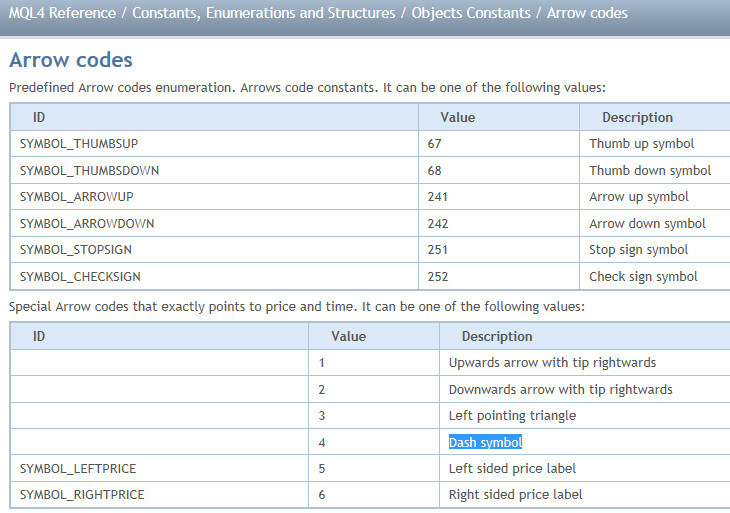 "Special Arrow codes that exactly points to price and time" in MQL5? I'm planning to migrate my MQL4 file to MQL5. I wanna create objects that exactly point to price and time like DASH SYMBOL in MQL4 that are not supported in MQL5 anymore. I just wanna create SIMPLE arrow that exactly points to price and time. Any idea?